Welcome to the Language Resource Center! Buried beneath the offices of the Department of Languages, Literatures and Cultures in Jastak-Burgess Hall just a few feet away from the newly renovated little Bob Carpenter Sports Building lies UD's only Resource Center dedicated to enhancing language instruction at UD. Virtually undiscovered by most, this technological gem of the Newark campus offers those few who manage to make its discovery, the finest in language tutoring, document production, laser printing (in black and white and color), access to the world of international film on DVD, and scanning services. 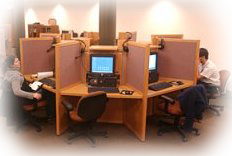 Visitors to the Language Resource Center discover a warm and typically quiet environment where imersion in silent study is only natural, where internationally configured workstations are always available, and yet where discourse is encouraged, and help with language issues both technological and linguistic abounds. Although finding us may be a challenge, it is a challenge well worth the effort. 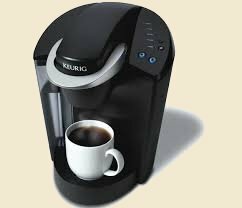 The Language Resource Center now offers all visitors coffee, tea, and hot chocolate at a cost of only fifty cents per ten ounce cup. Supporting the new coffee making equipment are packets of sugar, Sweet and Low, liquid creamer, twelve ounce coffee cups, coffee cup lids, and stirring straws. Since food is also permitted, a light breakfast supplemented by Resource Center coffee is now a real possibility while working on computer-based projects with one of the Resource Center's many high-end desktop computers or on your own personal laptop. Check it out in the basement of Jastak-Burgess Hall!